Schneider: Did 'Operation Chaos' succeed in Indiana? Limbaugh’s ‘Operation Chaos’ plan was to have republican voters temporarily cross over to vote in the Democratic primary for Hillary Clinton. 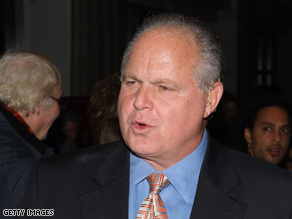 (CNN) - How big of an impact did Rush Limbaugh’s ‘Operation Chaos’ have in Indiana? Did GOP voters really cross over to create havoc in the Democratic primary by voting for Hillary Clinton, as he’d asked his listeners to do? Roughly one in ten of the state’s Democratic primary voters were Republican - and that group did vote for Hillary Clinton, 53 to 47 percent over Barack Obama. But hold on: registered Democrats, who made up two-thirds of Tuesday’s primary voters, gave roughly the same edge to Clinton, 53 to 45 percent. Only Independents - who made up about a quarter of the electorate - voted for Obama, 53 to 47 percent. For whatever reason, self-identified conservative voters did overwhelmingly support Clinton – two out of three cast their votes for the New York senator. These people who cross over to vote for Clinton are only doing so because there is built-in animosity and vitriol against her for a large portion of the population. I'm convinced no Repubican has a chance of winning this year, and I believe Rush knows that too. He and the other repugnant haters like him simply want Clinton to win because it will make their jobs that much easier for the next four years. It's much easier to spew hate-filled lies on television and in books to legions of ignorant "ditto-heads" with a Clinton in the White House than it will be with a consensus builder like Obama. Anyone who crosses party lines to vote a certain way because a disgruntled drug-addict radio host tells them to do so should lose their voting priviliges. what would you call the Primary victories in the northern states in the Midwest???? The majority of voters there are white, and he won many of those states handily. He will also win a good percentage of the white vote in November. We will have a black president..may as well get used to the idea.